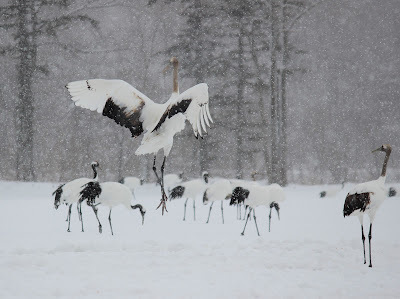 Today we're going on a tour of the Kushiro Shitsugen Marshlands to see Red-Crowned Cranes in the wild before returning to Kushiro via a ride on a steam locomotive (SL) C-11 train! Kushiro is a city located on the north eastern coast of Hokkaido and has been an important port city for Japan in modern history. The biggest tourist attraction in the area is the Kushiro Shitsugen Marshland which is the largest wetland in Japan. It was established in 1987 as a national park in order to protect the last population of endangered Japanese Cranes in Japan. 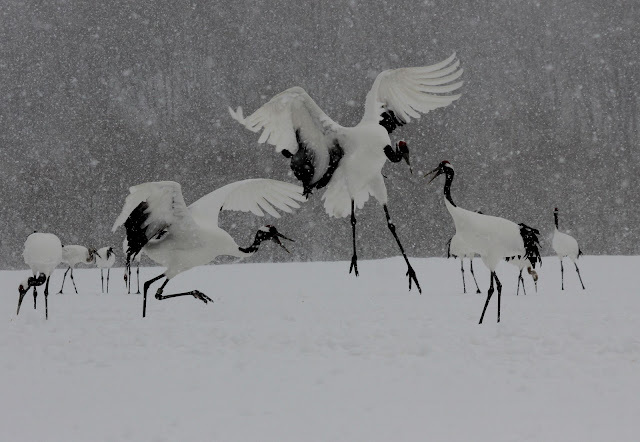 Japanese Cranes are also known as Red-Crowned Cranes or Manchurian Cranes in English and Tanchozuru (丹頂鶴) or just Tancho in Japanese. Due to hunting and habitat destruction the birds were thought to be extinct in the wild until a population of around 20 individuals was discovered in 1926 near Kushiro. 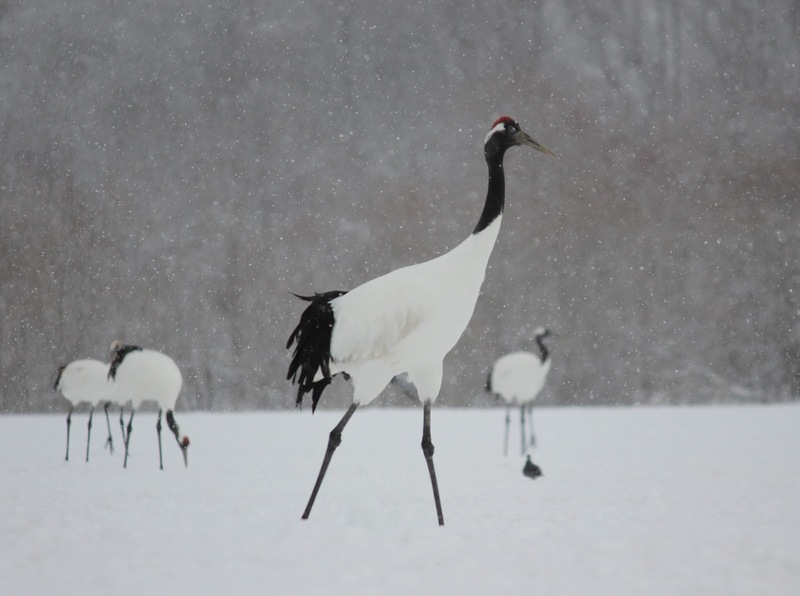 Since then, thanks to substantial efforts their numbers in Japan have recovered to around 1000 birds, however they are still very much an endangered species. 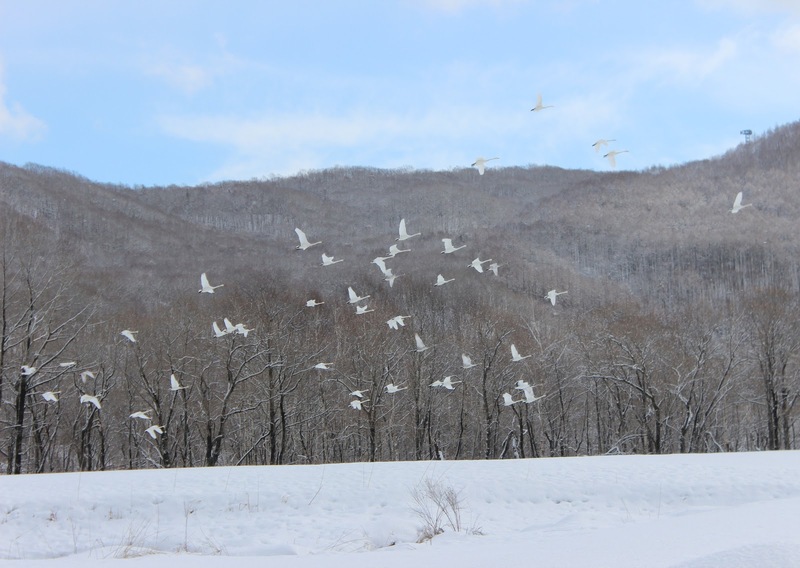 The birds are quite large, and can reach a height of 150-160cm tall, which is about the height of a person. They have black and white feathers and a red top on their heads. 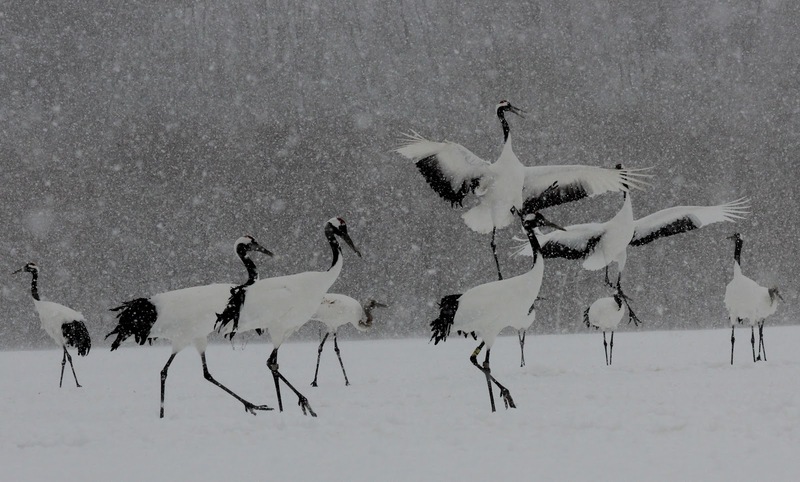 Contrary to what you might expect, winter is actually one of the best times to view the cranes. 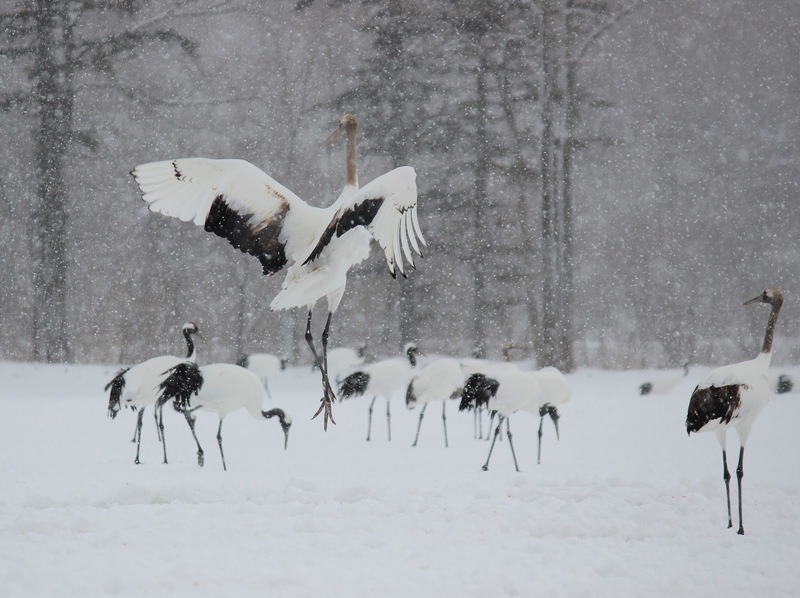 Due to the destruction of habitat it’s not possible for the wetlands at their current size to support all of the cranes each winter. 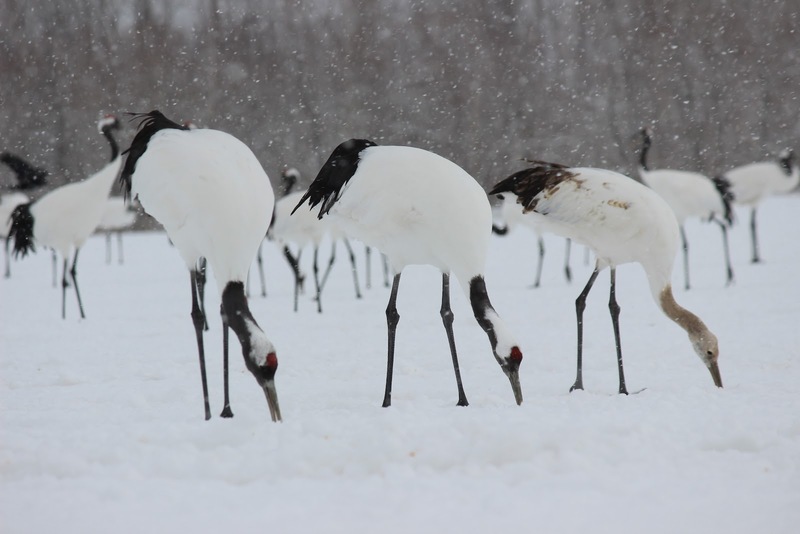 In order to ensure that the cranes survive through winter a number of feeding locations have been established around the marshland. 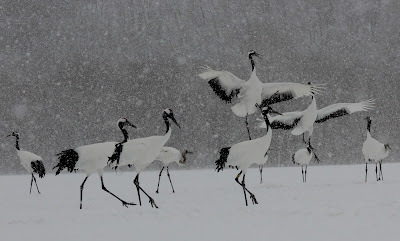 Each day the cranes gather to feed and dance and can be viewed and photographed from the viewing areas provided. During the planning stage of our trip we were concerned about how to actually get to these viewing areas as the wetlands are spread out over a large area and although there are one or two public buses they are incredibly inconvenient. Hiring a car is the general suggestion but we were not really keen on this as neither of us had ever driven in snow or ice before and didn't want to learn in Japan. 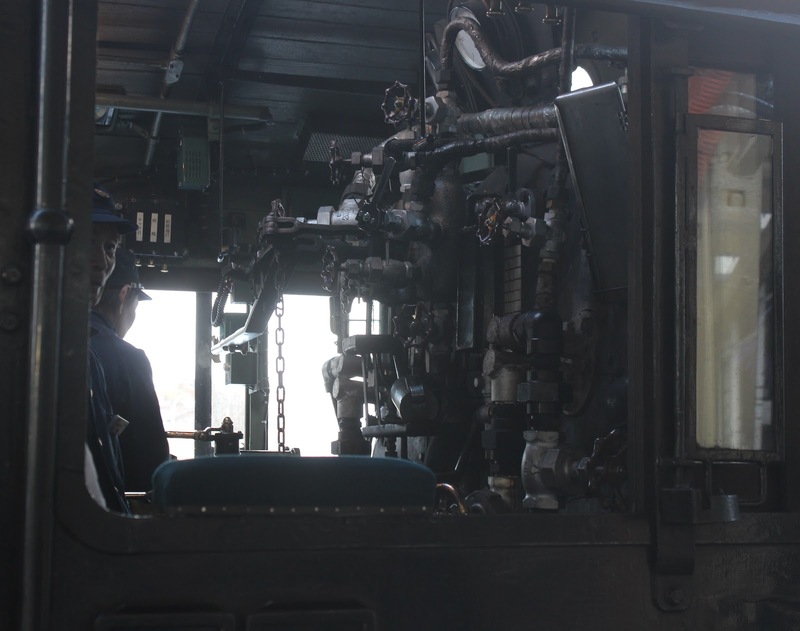 After a bit of searching on Japanese websites though I happened to find a day tour offered by a local bus company! 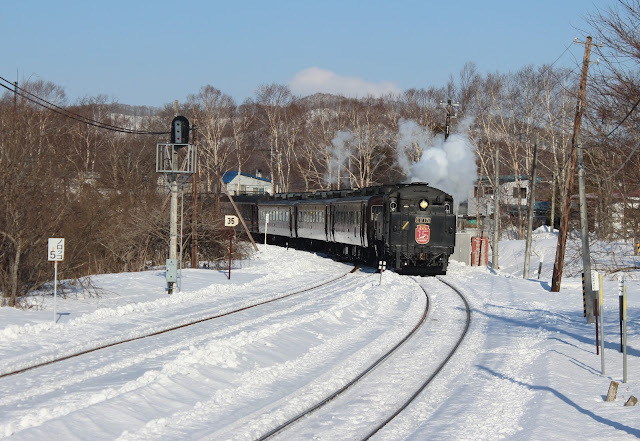 The tour, information and booking form were all completely in Japanese, but was otherwise perfect as it would not only take us to all the main sights but was also designed to line up with the timetable of one of JR Hokkaido's sightseeing steam trains! The tours are run by Akan Bus and the one we went on is called the Shitsugen 55Pass de Meguru - Fuyu no Tanchougou. 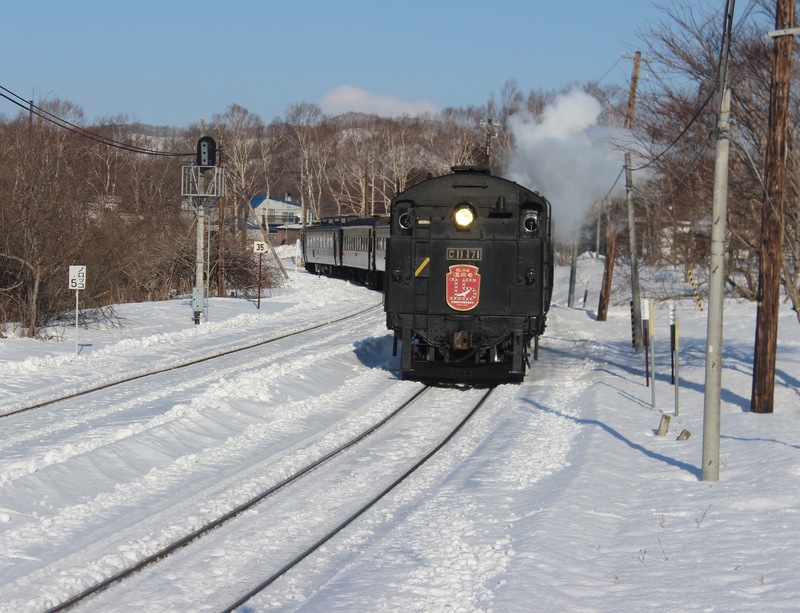 So basically when signing up you could decide to be dropped off at one of the stations on the outskirts of Kushiro or you could return all the way back to Kushiro. 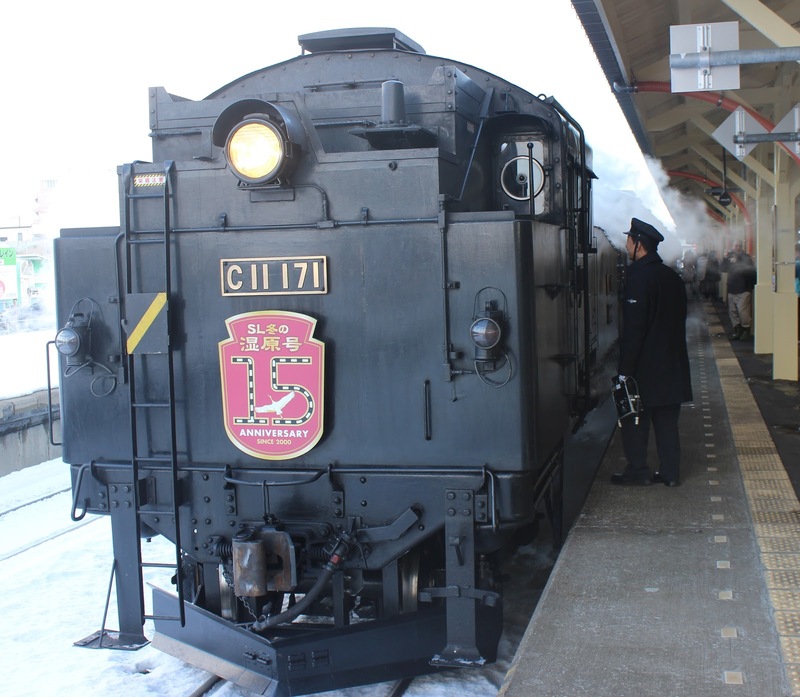 It was cheaper to leave early and we were very happy to learn that the steam train journey was fully covered with the JR pass too. In order to ensure we didn't miss out on a seat on the train we made sure to reserve our ticket as soon as we received our JR pass when we arrived in Japan a couple of weeks ago. We signed up online, and were able to pay when we picked up our tickets on the day of our tour. Everyone else on the tour was Japanese, which wasn't much of a surprise. 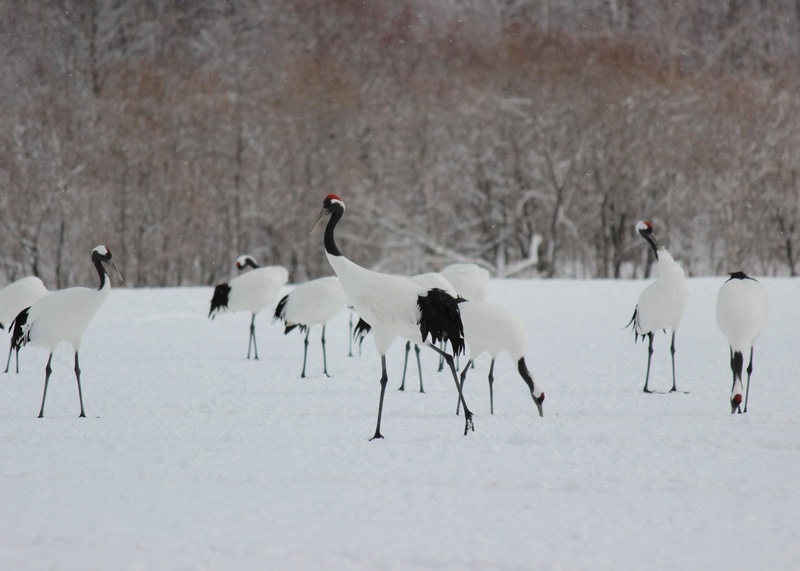 The first place we went to was the Kushiroshi Tanchozuru Natural Park or the Kushiro Japanese Crane Natural Park where it's possible to view the cranes year round in a quasi-natural environment. 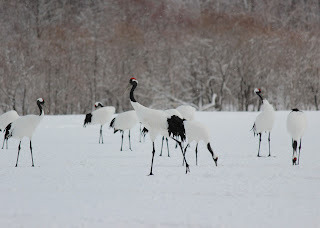 We didn't get too much time here, about 20 minutes, so we quickly walked out to see the cranes. The park looks a bit like a zoo at first glance with the birds in big cages. Looking a bit closer though you can see that the fences have no roof and the birds are free to fly off whenever they like. The fences are there to give the birds some peace from the humans. 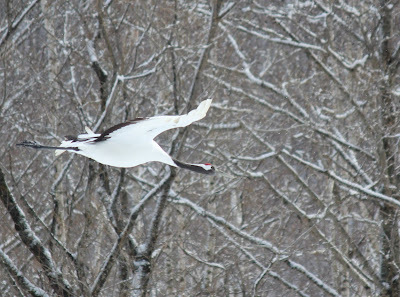 Apparently the cranes usually stay within the fences, but do fly off sometimes though they always return. This is probably a good place to visit during the non-winter months as it's the most likely place you'll be able to see the cranes. 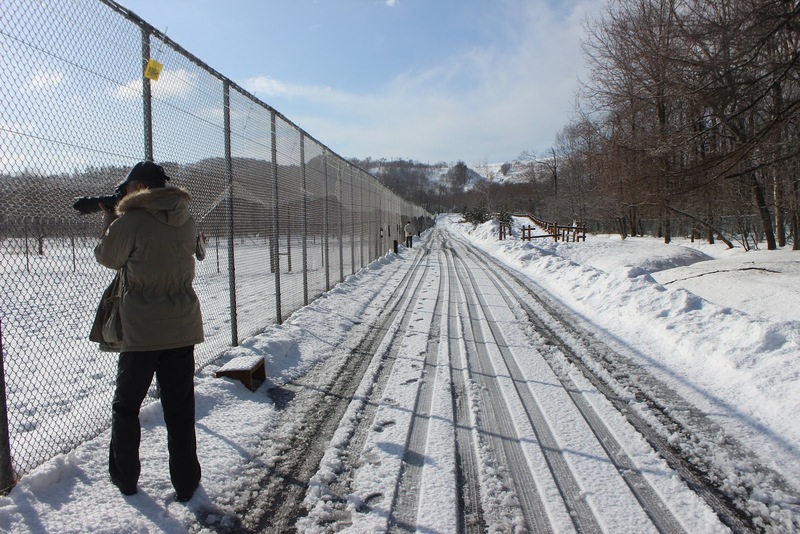 During winter it's not as good, at least when we were there, as the place is quite spread out and the snow had half melted into a slush which made walking difficult. We were however able to see and photograph some cranes! We were able to get really close to a few too which was really cool. 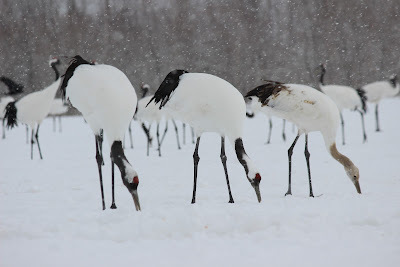 Next we went to the Akan International Crane Center which is home to a museum, a breeding centre and is right next to the Tancho Observation Center which overlooks one of the winter feeding grounds. Upon arriving we quickly headed to the observation area where we found heaps of people with cameras and ever more cranes! I had fun taking photos with everyone else. 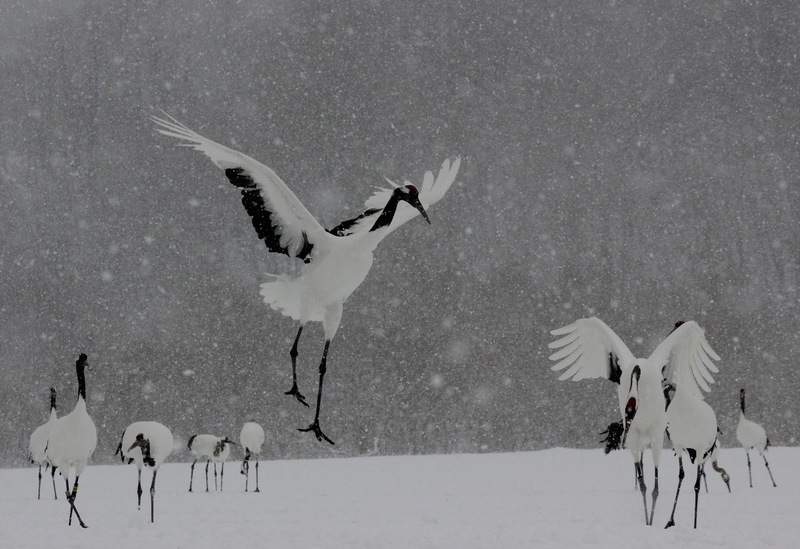 The cranes were very photogenic, hopping and jumping around for the camera. After a little while it started snowing quite heavily so we went back inside to have a look at the museum. 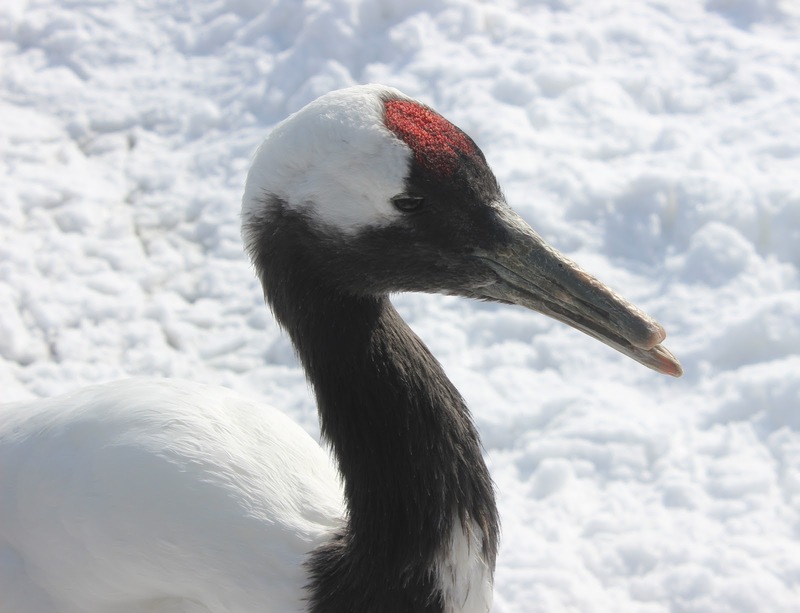 One of the displays showed many different cranes species from around the world, and I learnt that the Brolga which is an Australian bird is also a crane. After around an hour at the Akan International Crane Center we hopped back on the bus to go and get some lunch! 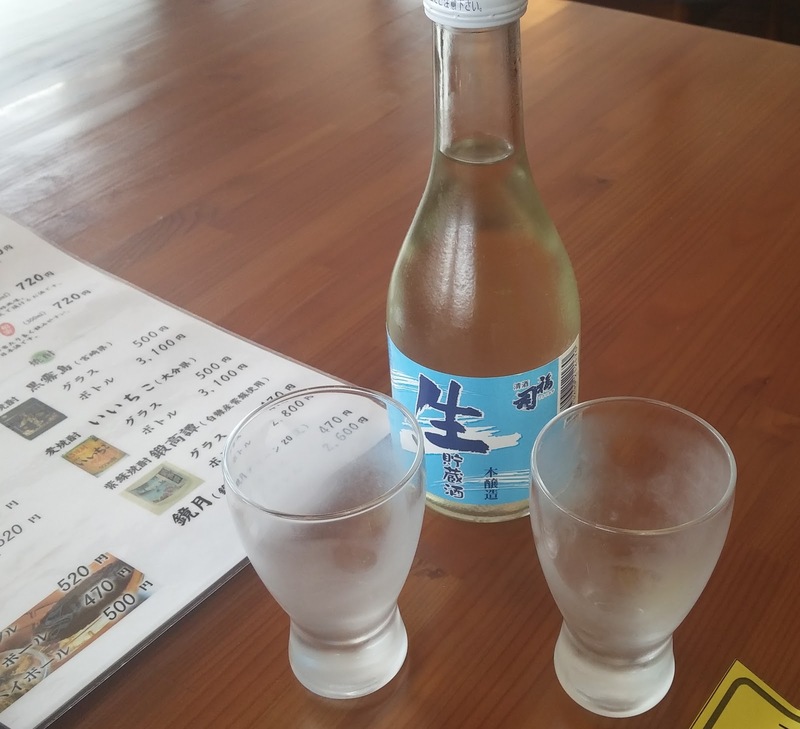 We went to the Yamahana-onsen Refre which is an onsen (hot spring) ryokan not too far away. 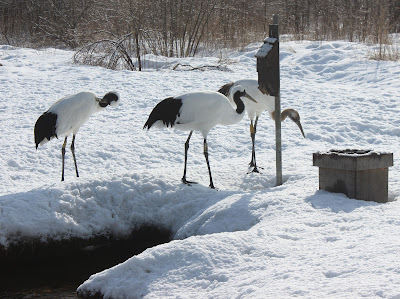 On the way there we also passed the Kushiro zoo. For lunch I got a Karaage set meal which came with rice, pickles and miso soup. We also shared a small bottle of local nihonshu (sake), which was nice! Next we went to the Kushiro Marsh Observatory which has a number of exhibits about the marshland and a view that overlooks the whole area from the roof. 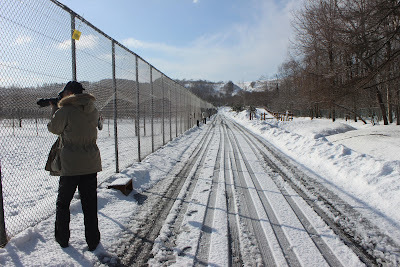 There's also boardwalks which connect to the Kushiro Shitsugen Viewpoint, though we only had a quick twenty minute stop here so we just enjoyed the view from the roof. While we were up there we talked to some middle aged guys who were also on our tour who were surprised that we like sake and that we didn't appear drunk at all, though we really didn't drink much. 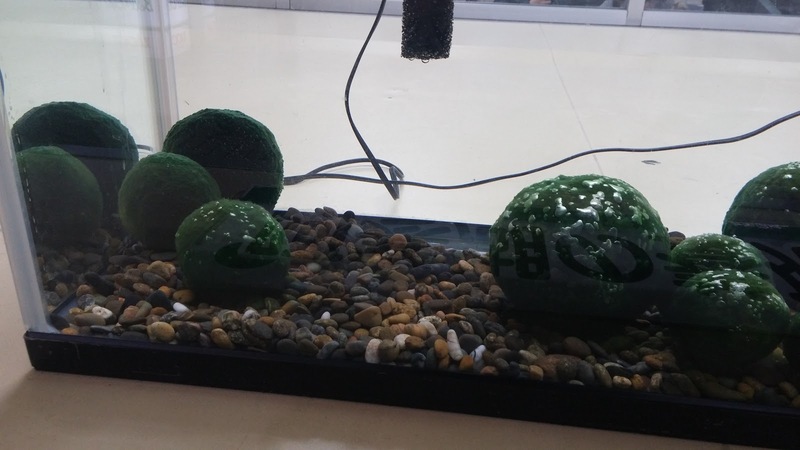 We also looked briefly at the displays inside the building and Kate brought a nice Kushiro keychain which she is still using even now. 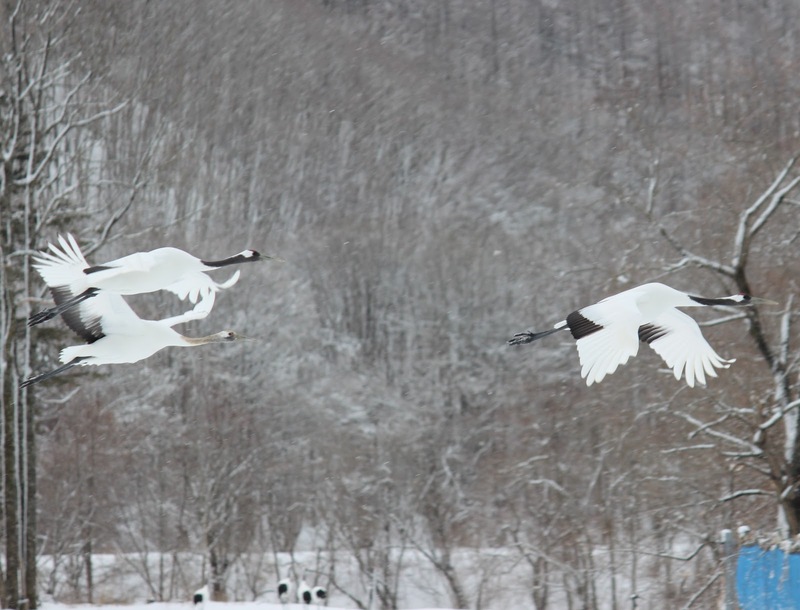 The next part of the tour was a drive through the marshlands where we saw some deer, a red fox and a few more cranes. At around 2pm we arrived at the Toro station which was the end point of our tour, as we were getting the steam train back to Kushiro! We were actually surprised to find that most people stayed on the bus. 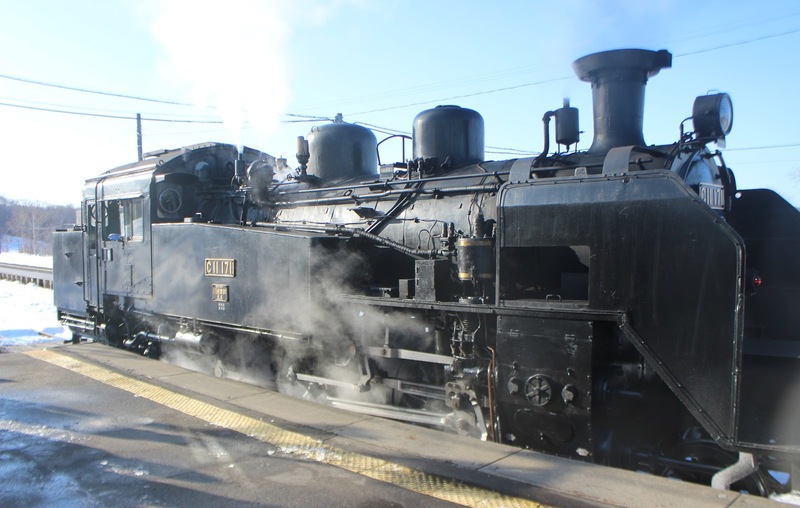 After a making our way to the platform we only a had a short wait until the Steam Locomotive (SL) Class C11-171 steam train came chugging along. 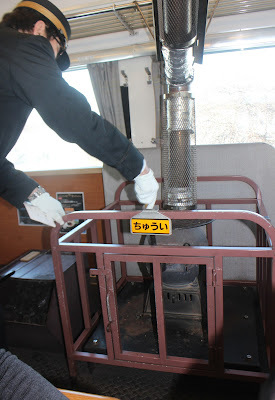 Not only was the main engine steam powered but the carriages were also old fashioned and even had little coal burners inside for heating. The train made its way back to Kushiro alongside the marsh. As we got closer to the city we started seeing lots of people out with their cameras taking photos of us as we steamed past. I even saw a police officer who had pulled over on the side of the road to take a photo with his camera phone. 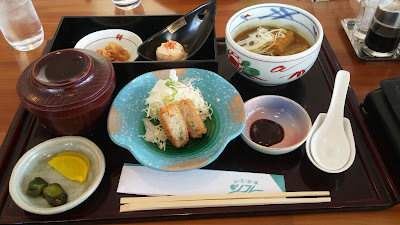 Upon arriving into Kushiro we retrieved our luggage from the hotel for this afternoon's journey to Sapporo. Unfortunately the train was delayed due to a winter storm, which seem to have caused some blackouts. We killed time looking around the station where we found some steam train themed bread as well as some cute balls of moss, which are apparently called marimo and grow in the nearby lake Akan. Apparently they are a protected species in Japan and the subject of considerable conservation efforts as they are quite rare and are only known to form in Iceland, Scotland, Japan, Estonia and Australia. 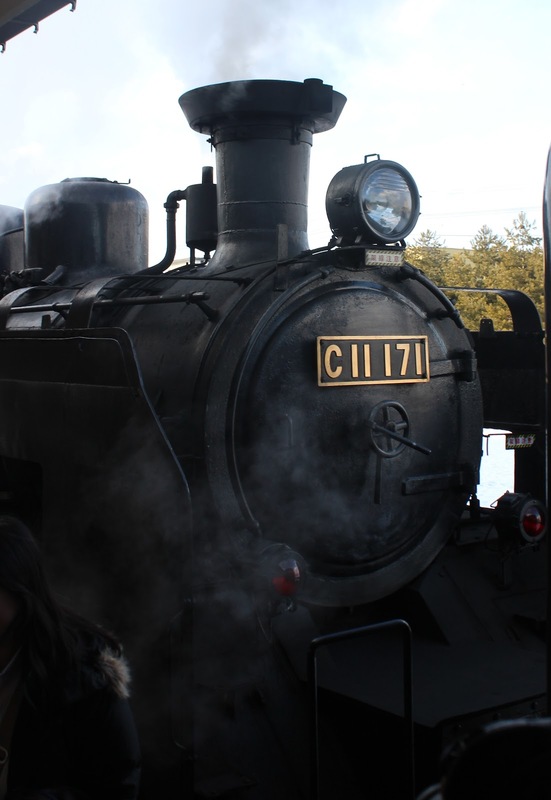 After about an hour or so wait our train turned up and we completed the long four hour journey to Sapporo, arriving at around 10pm. 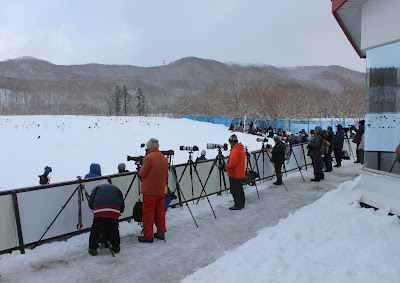 We were staying at the Super Hotel in Sapporo, which we were lucky to get as when we went to book we found the city almost entirely booked out due to the Sapporo Snow Festival. 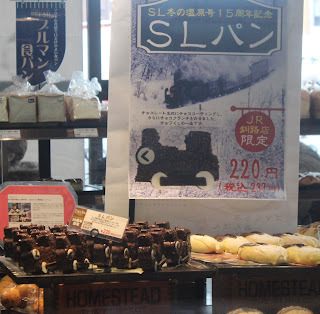 Tomorrow we'll be attending the Sapporo snow festival!